Jane Austen can teach us a lot about how our brains handle uncertainty. Elinor isn’t the only one to experience this kind of shutdown and its accompanying frustration. When we’re angry, or upset, or fearful—in the grip of any strong emotion—most of us find it difficult to think clearly. This has to do with the inverse relationship between our sympathetic and parasympathetic nervous systems, which manage (respectively) the degree to which we’re excited or calm. Neuroscientist Stephen Porges has suggested that the thermostat for adjusting sympathetic and parasympathetic input can be found within these systems themselves. 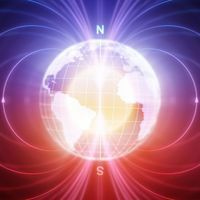 He has highlighted the operations involved from a “polyvagal perspective,” which considers our neurophysiological functioning in the context of safety, whether our environments are threatening or benign. 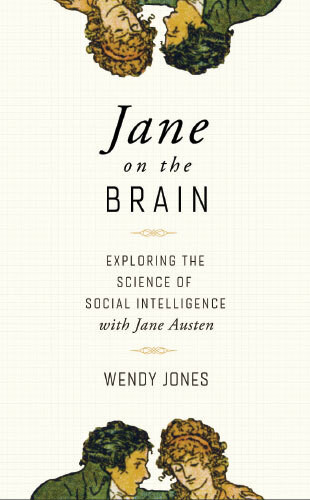 I explore these and other neurosocial phenomena through the lens of the immensely popular novels of Jane Austen in my new book, Jane on the Brain: Exploring the Science of Social Intelligence. The sympathetic and parasympathetic systems form the two main branches of the autonomic nervous system, the “UR-system” that controls our automatic bodily functions. When we’re safe and in a business-as-usual mode, the parasympathetic system dominates. This drives ongoing bodily functions such as digestion and growth, and allows for clear thinking and social engagement. But when we encounter danger, the sympathetic system activates, and those normative processes are decreased or suspended. The polyvagal perspective considers the different branches of the vagus nerve, really a cluster of nerves, that originate in the brain stem (right above the spinal cord), as having distinct functions. 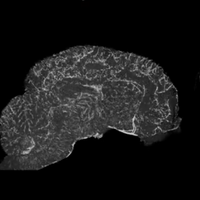 The first branch is the ventral vagus, so called because its neurons run closer to the ventral side of the brain, toward the front of the body; it’s also called the “smart vagus.” The ventral vagus connects to and controls the heart’s pacemaker, a small, specialized muscle called the sino-atrial node. Porges calls the action of this section of the ventral vagus the “vagal brake.” If we perceive something dangerous in the environment, the vagal brake is lifted, and the heart beats faster, which causes the sympathetic nervous system to activate. Increased heart rate is therefore the catalyst, and not just the indicator, of excitement. The automotive metaphor of a (vagal) brake makes sense if you think about driving downhill rather than on a level surface. You need to press the brake to keep driving at a moderate speed. If activation of the sympathetic system is sufficiently strong—that is, the heart beats very quickly—and we also know we are in danger, our stress responses kick in; these reactions are the second focus of the polyvagal perspective. 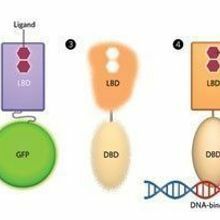 Stress responses involve the release of excitatory hormones and glucose into the blood, which give us the energy to engage the fight-or-flight response. The third focus of the polyvagal perspective is the dorsal vagus, a branch whose circuits run closer to the back of the brain. If a situation is so threatening that fighting or fleeing is useless, we freeze, a response induced by the dorsal vagus, which is responsible for deactivating responses such as fainting. In addition to inducing states of emergency and calm by controlling the vagal brake, the ventral vagus generates all the states of mind and body that we experience between these extremes. With the vagal brake on, you return to coasting at a more even speed rather than racing downhill, and resources are available for both thinking clearly and fully exercising social skills. It is only as Elinor calms down to some extent that she is able to maintain polite conversation with Lucy, “forcing herself to speak, and to speak cautiously.” Possessing a capable smart vagus, Elinor quickly recovers her self-possession, and so ultimately deprives Lucy of her triumph. Wendy Jones is a practicing psychotherapist and former English professor known for her work on the connection between literature and the mind-brain sciences. Read an excerpt of Jane on the Brain.